Learn the key social selling to become a trusted advisor in the eyes of prospects and customers. Everyone needs a car mechanic they can trust. But because the good mechanics are usually booked solid, finding one isn't easy. So what do the best mechanics do different, and how can you use these same tactics to increase your own social selling results? Think of your LinkedIn profile as your customer waiting area. The mechanics who “get it” keep a clean, organized shop that helps put customers at ease. The certifications, memberships, awards and customer thank-you cards that line the walls establish trust and serve as proof to anyone who walks through the door that they are dealing with a credible professional. Don’t skimp on your summary and experience. Tell your story! There’s a big difference between telling someone what they need vs. starting a conversation regarding the need in question. Customers are more apt to go along with a suggested change if it is explained in a way that offers proof. For mechanics, proof can come from charts, meter readings, or comparing a worn part with a new part. Similarly, social sellers should use tangible outcomes and measureable results whenever possible to get to the heart of the potential benefits and expected outcomes that decision makers care about. The mechanic could just as easily have recommended the repair in an attempt to gain more revenue from your visit. However by explaining the future repair in this manner, the mechanic builds trust and is still likely to be the one to perform the repair at a future date. We all want to close deals fast, but by clearly showing your prospects that you are placing their needs and goals above your own, you are far more likely to win the business, and in doing so, are creating a customer who will gladly recommend you to others. Your mechanic is your go-to expert for all things auto, and good mechanics don’t take this role lightly. They make recommendations and provide advice as if your car is their own. They provide maintenance advice for between visits, tactics for increasing gas mileage, and maybe even add insight when you’re selling or buying. And by consistently providing value, the mechanic earns “trusted advisor” status in the eyes of each customer. Social selling works the same way. Sure, the products and solutions we sell can provide value, but there are so many other things we can do to provide value for our customers and potential customers. An easy way to do this via LinkedIn is to find useful content, curate it and share it in a way that makes it easy for the person on the other end to consume and act on. If you’re not sure how you can provide added value, try making a list of anything and everything that will make your target audience’s work life easier. From this list, you should easily find a handful of ways you can separate yourself from the other sales reps. Does your sales prospecting need a tune up? 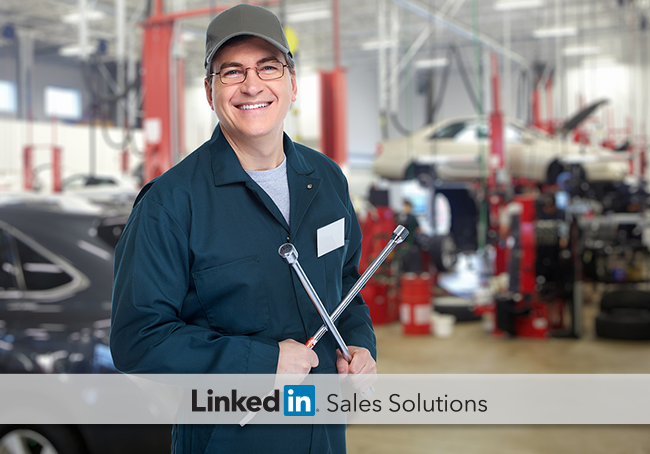 Learn how LinkedIn Sales Navigator can provide you with the high quality leads and prospecting insights that lead to social selling success.